﻿ There’s a peculiar trend when it comes to new Florence + The Machine albums, in that they’re released to enormous anticipation and fanfare, only to get swept aside almost immediately after. It’s not exactly a unique case, but when Lungs established Florence Welch as a bold, brazen new voice in indie-pop, you’d expect some longevity to be there. But Ceremonials couldn’t pick up anywhere near the right momentum, and How Big, How Blue, How Beautiful was a clear misfire, both in terms of quality and prescience in the public consciousness. Call Florence + The Machine a singles act and you wouldn’t be met with much protest, particularly considering the number of hits under their belt without a great deal else to back them up. And with High As Hope, it seems as though the exact same route has been taken here; Hunger is the regularly bombastic early single, with everything that follows being a noticeable step down in terms of composition and impact. At least there’s an excuse, with this being a far more personal album that Welch has previously offered, but that doesn’t stop it from feeling like such a mismanaged waste of resources. The potential for a sweeping, epic journey is here as always, but it’s rarely built on or, at times, even acknowledged. But again, this is somewhat tempered by Welch’s state of melancholy that permeates through so much of this album, as she recounts memories of eating disorders on Hunger, experimentation with drugs on South London Forever and even her grandmother’s suicide on The End Of Love. It’s clearly rooted in far darker matter than ever before, and with the likes of South London Forever and Grace being as plain-spoken as they are with a lack of elaborate, obtuse imagery, there’s a core of instability that’s never really been explored on a Florence + The Machine album before, and it’s definitely compelling. Then there’s Welch herself who, as always, operates with tremendous poise and range that gives a delicacy to her work that few bands can come close to, particularly with the onus on fluttering strings, pianos and harps for an almost mystical atmosphere. And yet, with what Florence + The Machine are capable of, it all feels a bit safe. As much as High As Hope thrives on a glassy, baroque take on indie-pop to accentuate those broken, emotional details, there’s always been a part of Welch as a performer that works so much better when she channels the maelstrom of enormity that made a track like What Kind Of Man so excellent; the closest High As Hope gets is the cracking percussion paired with the heavenly backing swell of Hunger, but even that, that feels severely toned down. Elsewhere, the likes of Sky Full Of Song and No Choir feel even more restrained, largely restricted to immaculately produced but understated string sections that rarely feel all that alive. There may be moments like Big God’s employment of horn accents for a bit more spice, but High As Hope overall feels a little one-note in its execution, with that note not exactly being too thrilling. 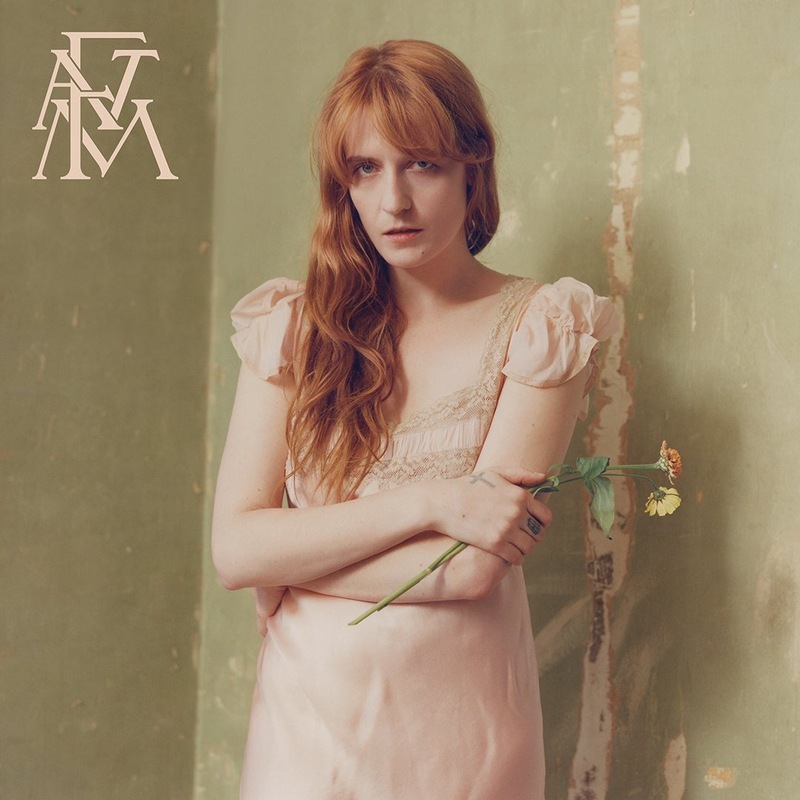 Then again, Florence + The Machine’s goal has never been to provide thrills, rather to give traditional indie-pop a more glamorous, ethereal alternative, and High As Hope undoubtedly does that; there’s still not another act in the genre quite like this, and when capturing such a distinct emotional core, this is definitely a good effort. Within Florence + The Machine’s own canon though, this is probably their least impactful effort to date musically, lacking any real punch that could’ve taken the subject matter so much further. It’s definitely not terrible, but at this point, Florence + The Machine can really afford to get a bit more adventurous with their work. It’s not as if there’s anything to lose. ‘High As Hope’ by Florence + The Machine is out now on Virgin EMI.